Rosie's just had her first day at her new school in Scotland, after moving to live in her Great-aunt Rosamund's castle. Rosie's class have to put on a show about the different countries in the world and Rosie's country is Japan. That evening back at the castle, Rosie finds a painted fan and it has a little princess on it! 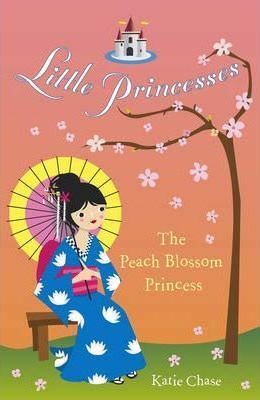 And, sure enough, after saying hello, Rosie is whisked away to a beautiful garden in Japan where she meets Princess Hana. The little princess is very sad because Gawa the river god is angry with her father, the emperor, and has created a water sprite who looks exactly like Hana. The evil sprite is pretending to be Hana and no one at the palace can tell because the god has made Hana herself invisible. Somehow Rosie must help Hana to break the spell! I Don't Want to Go to Hospital!